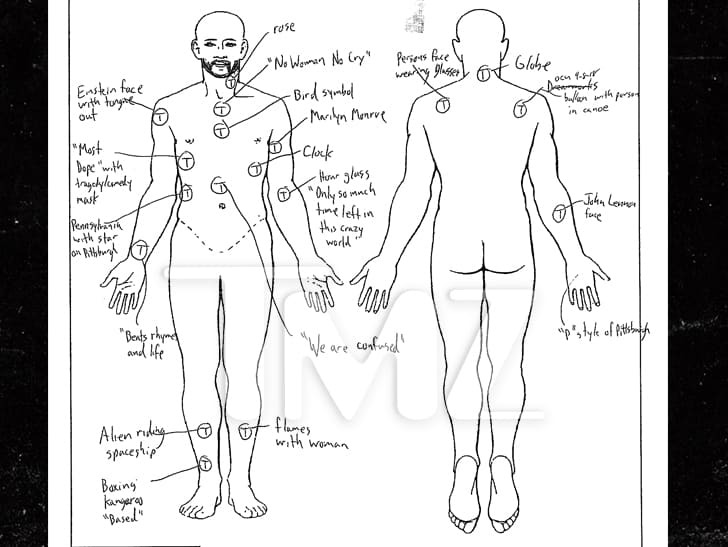 8:15 AM PT -- According to the report, Mac's assistant found him unresponsive on his bed in a "praying position" -- kneeling forward with his face resting on his knees. The assistant described him as already being "blue" during the 911 call. There was a 1/4-inch abrasion on the bridge of his nose, and there was blood coming out of one nostril. An empty bottle of alcohol was found on the nightstand, near Mac's body ... and a bottle of prescription pills was found in the bathroom. The list of pills recovered in the home include Xanax, oxycodone, hydrocodone, and generic Adderall. Cops found a rolled-up $20 bill with white powdery residue in Mac's right pocket -- and an iPad in his home studio had "linear white powdery residue" on it. There were also 2 baggies found with the white powder. We're told the amount of each drug was not necessarily a lethal amount, but the combination is what killed him. 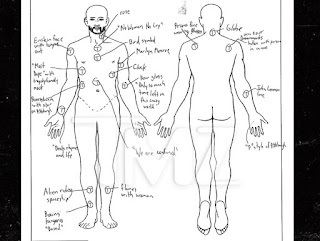 As part of the report, the Coroner detailed the location of all of Mac's tattoos, and described each of them -- including his "Most Dope," Einstein face and "No Woman No Cry" ink. 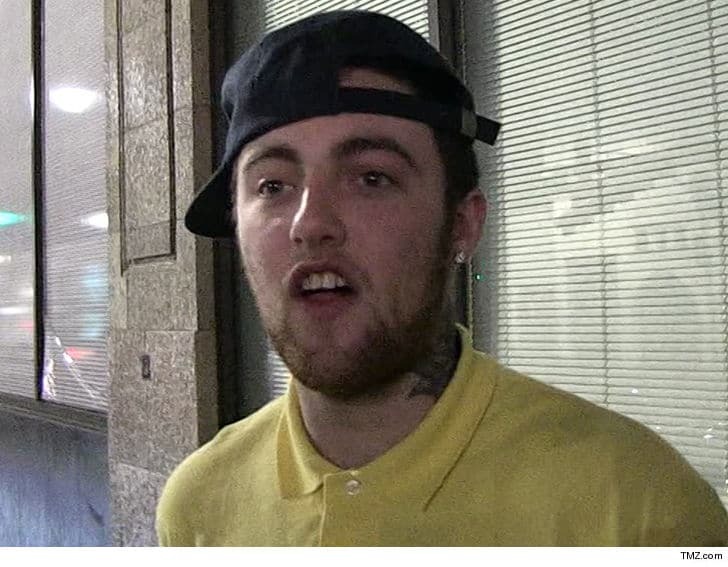 Mac Miller died from a mix of fentanyl and cocaine ... TMZ has learned. The L.A. County Coroner's Office released its toxicology findings, and according to the report Mac died from "mixed drug toxicity" -- specifically fentanyl, coke ... and alcohol too. The Coroner categorized his death as an accidental overdose. TMZ broke the story ... Mac died back in September. He was found around noon in a bedroom at his San Fernando Valley home. He was pronounced dead at the scene. As we reported ... a male friend called 911 from Mac's home. Emergency dispatch audio revealed first responders were called for a patient in cardiac arrest. Mac battled with substance abuse for years and it's what ultimately led to Ariana Grande breaking up with him.